Now that I have settled into my role as chair of the Arts Council, I find that with this role requires my attention to many facets regarding the challenges our board faces. We have many a task ahead of us. As we embark on our next decade, we are moving forward in creating a vibrant art and cultural community, our goal is to build an endowment that will not only provide for our future financial needs but also fund an art center on the historic 1923 Stuart High School campus. This is where you come in, April 24th is the annual “Great Give”. The “Great Give” is Palm Beach & Martin Counties 24-hour online giving event led by United Way of Palm Beach and Martin County designed to raise as much money as possible for local non-profits like us in one day. Please consider going online between midnight to midnight on April 24th and giving as much as you can. With your help we can foster the arts in Martin County for future generations. Between now and May 1, you have the opportunity to leave your permanent imprint on the Martin County arts scene by submitting your own idea for the name that will become the official designation for the ever-evolving Stuart arts and entertainment district. The district is bordered by Colorado to the west, extents north the SE 6th, down Delaware, east along MLK Blvd, around Bruner Pond to connect with Kindred and Johnson. Vote today on the names proposed to date. Be a part of history and our ever growing arts community. Thanks. The Arts Council needs YOU! Help is needed. Job descriptions vary. Let us know if you want to be a part of our team. Call or email us today. Thursday, April 11, 4 pm. The new issue of MartinArts Magazine is now available! Check it out. Story Time in the Gallery is a program made possible by PNC Bank's Arts Alive program, which offers art themed story time geared toward families of preschool children. On the last Thursday of every month, families are invited into the galleries of the Court House Cultural Center to listen to stories that celebrate the arts! ArtsFest is proud to announce the Judges Awards. And the Best of Show awardee for Off the Wall. Thanks to our judges : Robin Makowski, Suzanne Connors, Geoffrey Smith and Suzanne Northcutt. And our judges for ArtsFest Off the Wall: Liz Bonan, Neil Capozzi, and Ben Sharfi. For our friends and members who either purchased tickets in advance, or received them as a benefit of membership/sponsorship, and haven't stopped in at the Court House Cultural Center (80 SE Ocean Boulevard, Stuart), they will be held for you throughout the weekend at the Cultural Center front desk between 10 am and 5 pm daily. Please stop to get your tickets before going to either of the ArtsFest admission gates. If you arrive after 5 pm on Saturday for ArtsFest After Dark, will call is located at the WEST gate (in front of the Courthouse, corner of E Ocean and Detroit). Start here to get ready for your ArtsFest weekend, A downloadable map with artist list is available on the ArtsFest home page along with daytime entertainment. Then look at each ArtsFest detailed page for everything you want to know about ArtsFest. Remember starting at 5 PM is ArtsFest After Dark, and only the WEST gate will be open for guests. You may come and go all day long, just get your hand stamped but we do not allow pets (our apologies). Our executive director's OP ED in today's Stuart News. Join us this weekend at ArtsFest to embrace the vibrant arts community and support the Arts Council's efforts to keep the arts as a vital part of our community. Your $10 admission keeps our efforts alive 365 days a year as we strive to expand and nurture the cultural sector. Thank you for your support of our efforts. PSSST! Stephen Ngo and RIVER HOUSE Stuart Invite You to the “UNOFFICIAL” ARTS FEST KICK-OFF PARTY on Wednesday, February 6th from 5:30-7:30 @ The RIVER HOUSE Stuart Design and Sales Center – 22 SE Seminole Street, Downtown Stuart. Enjoy cocktails and light bites, while enjoying the soundtrack laid down by DJ Werkinmen, all to celebrate Martin County’s Premier celebration of the arts, this Feb. 9/10 at Memorial Park, ARTS FEST. Also, stay tuned for a POP UP! art exposition by local visual artist during the event. RIVER HOUSE Stuart is Downtown Stuart’s newest luxury residences located directly on the wide St. Lucie River. Contact Stephen P. Ngo, Realtor, Premier Realty Group at 772-485-0266 for more information on the UNOFFICIAL ARTS FEST KICK OFF PARTY and RIVER HOUSE Stuart. ArtsFest BOGO Bonanza! Succumb to your senses at ArtsFest 2019! Running through February 1st, visit Seacoast Bank - Martin County branches to get TWO ArtsFest tickets ($20 value) for the price of ONE and enter to WIN 2 free VIP tickets ($100 value). Hurry! Only a limited number of ArtsFest's very best tickets are available. VIP Winners will be announced February 7th. For the fourth time in a row, ArtsFest has been named one of the Top 20 Events in the Southeast by the Southeast Tourism Society (STS). The best events across the southeastern United States compete to receive a Top 20 designation. The Martin County Office of Tourism and Marketing and the Arts Council of Martin County collaborated on the application for this prestigious designation. Celebrating its 32nd year, ArtsFest will return to Stuart's Memorial Park February 9-10. Each year this award-winning event provides the opportunity for people of all ages, cultures and backgrounds to discover and embrace the arts! Sign Up Today! Limited seating available. Featuring members of the team from the Ripple Project: Lucy Keshavarz, lead artist; Leo Giangrande, Principal at Giangrande Engineering and Planning; Dianne Hughes, Martin County Senior Ecosystem Specialist for the Ecosystem and Restoration Management Division; Vincent Encomio, PhD., FL Sea Grant Extension Agent II, Martin and St. Lucie Counties, UF/IFAS Extension, and Kerry Sees, citizen workshop participant. The panel will expand on the benefits of EcoArt/Creative Community Placemaking in our community and each of their unique role in bringing the project from concept to design and at some point, implementation. Many of you have been asking about the status of our efforts to have Stuart High School become a Cultural Center. This fall we invited a few members of the community to participate in stakeholder meetings. Through their sage input and advice, we created priorities for the project and (if it's possible) become even more excited about what this could mean to our community! Women Supporting the Arts, a women's giving circle, is pleased to announce the recipients of their 2019 grants. Members of Women Supporting the Arts each contribute $1000 and then collaborate to review grant applications and allocate funds. Since 2004, more than $325,000 in grants have been awarded to artists and arts-related programs. Whether you are an artist or someone who simply appreciates the arts you make a difference when you support the Arts Council. This year your support is valued more than ever. The drastic state budget cut to the arts has depleted our budget with a shortfall of nearly $15,000 from prior years. It is now more important than ever for individuals like you in our community to step up and support the arts. With your help the arts education programs we provide can continue. Please consider a tax deductible gift this #GIVINGTUESDAY and make a difference in celebration of the arts! From all of us at the Arts Council, we are grateful for your support today, and every day. So the staff and volunteers can enjoy their Thanksgiving Holiday weekend with family and friends, we will be closed November 22-25. The Florida Council on Arts and Culture is the 15-member advisory council appointed to advise the Secretary of State regarding cultural grant funding and on matters pertaining to culture in Florida. Appointments to the Council are determined by the Governor, President of the Senate and Speaker of the House, in consultation with the Secretary of State. The Governor manages seven seats that serve four-year terms. The President and Speaker manage four seats each, with terms of two years. The appointments are based on geographic representation, as well as demonstrated history of community service in the arts and culture. Check out their new bi-monthly series which spotlights each of the members - this month featuring our own Nancy Turrell! The Barn is Martin County's oldest non-profit (501c3) community theatre. The Barn is a 169-seat community theatre. They present 6 main-stage productions per year, with 11 performances each. In addition they present several special events each year, many of which also benefit other local non-profits. Actors, directors, producers, sound and lighting technicians, set builders and designers, costumers, ushers, parkers, and all board members are all volunteers! Get TICKETS for their upcoming event to help pay for roof repairs! See Dave La Fame performing his Tom Jones and Bobby Darin Tribute. Thursday October 25 is a very special evening where we honor outstanding achievement in the arts found within our professional and student artist communities. The mARTies have grown from a small awards luncheon into one of the most festive evenings celebrating the arts. Each year we are impressed by the impact professional artists who are nominated this evening have in our community and we are re-inspired by their dedication. From painters and photographers to writers, musicians and performers, our community is rich with talent of the highest caliber. It is our hope that our student nominees get to see the vibrancy of the arts culture in our community and look to the professional artists here tonight who have been able to not only make a career at what they love to do, but to transform our hearts? There may be a few seats left... but there will be no unreserved tickets at the door. Call if you are interested. Join us at either 8, 9 or 10 AM at the Court House Cultural Center on October 24, 2018 for On the Table - a civic engagement initiative organized by the Community Foundation for Palm Beach and Martin Counties, bringing people together to collaborate and create solutions to address our community’s most pressing issues and shape our region into a strong, vibrant, safe and dynamic place to live and work! Stuart was selected as the host community for the quarterly meeting of the Florida Council on Arts & Culture! Our Arts Council family is shocked and saddened by the sudden passing of Deborah L. Owens (9/15/2018). Debi served as a member of our board of directors since 2012 and served a variety of key leadership roles, including most recently as the Chairperson. Congratulations to Martin County's South Florida Cultural Consortium Fellowship Award recipient: L.S. Finch! What an honor to be selected as a fellowship award winner. Engage and be a part of the Arts! Join us for the Annual Meeting and share some time networking with others who share your passion for the arts. September 26, 6 pm at the Court House Cultural Center. When a decision is made to create new public art in a community, it doesn’t happen overnight. The process from the beginning of the idea to the final mounting of the work often takes years, involving fundraising, community interaction, and working with various contractors and government agencies and officials. It requires serious time commitments for everyone involved: the artists, the government, private organizations, and community members. management problem, but also to tie the project to the community’s relationship with the St. Lucie River and surrounding environs. Four neighborhood sites were cited as primary spots to treat the stormwater drainage. This was the beginning of the project known as Ripple. The mARTies is our annual celebration of artists and things that are important to making the arts a part of our life, like philanthropy and leadership. We accept nominations from the community for STUDENTS (rising seniors only) in Literary Arts, Visual Arts, Instrumental Performance, and Theatrical Performance and for PROFESSIONAL artists in the Literary, Visual and Performing Arts. Great Give Palm Beach & Martin Counties is a 24-hour online giving event led by United Way of Palm Beach County, Achieve, Nonprofits First, and United Way of Martin County designed to raise as much money as possible for local nonprofits in a single day. This exciting community-wide event celebrates the spirit of giving and the collective effort it takes to strengthen our local nonprofits and better serve those in need - from children and seniors to the environment and animals! Every online gift made during the 24-hour period will be amplified by additional dollars from a bonus pool raised by United Way of Palm Beach County. To make April 24 even more exciting, participating organizations can compete for hourly cash or otherwise valuable prizes. Plus, donors have the option to cover processing fees so that every dollar goes right to the nonprofits you love! All donations must be made by 11:59 p.m. on April 24, 2018. EcoArtist Lucy Keshavarz is leading the community engagement gatherings and design in collaboration with the engineer and landscape architect as well as others on the design team. One of the criteria for this project is a design that will produce maximum water quality outcomes. The artistic and aesthetic design for the project will be integrated into the overall design and will be inspired by the community engagement process. Community engagement will be vital to a successful and authentic outcome. Updates on the “Ripple” project will be available at www.martin.fl.us/cra. The project is a partnership between Martin County Community Redevelopment Agency (CRA) and the Arts Council of Martin County with funding provided by two (2) prestigious Our Town grants from the National Endowment for the Arts. Welcome to MartinArts Currents, a monthly column presented by the Arts Council of Martin County that is meant to inspire you to learn more about, and participate in, the local arts scene. MartinArts Currents features an in-depth look at local artists, venues, events and happenings. Check out our Blog Post about artists Guy Coheleach and Geoffrey Smith who talk about their careers in wildlife art. See images from the night as well as a video of the entire Cultural Conversation. Cultural Conversations are sponsored by Wilmington Trust and this edition was moderated by Nerissa Okiye from Martin County's office of tourism. Join the Maestro Friday morning (4/6) and hear the story behind the music in a relaxed, comfortable setting. This lecture offers a greater understanding and appreciation of classical music and promises to be filled with music history, insight into highlighted composers, and lively discussion on musicians, instruments and orchestrating the performance. In partnership with the Atlantic Classical Orchestra. The newest mural in downtown Stuart is located on the east wall of the AT&T building on Akron Avenue. The 250-foot work of art has a river to intercoastal to ocean theme and depicts the fish that were thriving in our river more than 60 years ago. The title of the mural is Catch the Wave of Hope. Lynne Barletta is the designer and lead artist. If you’ve found your way from airport entrance to your gate with ease at a major airport in the past sixty years, you can thank Jane Davis Doggett, 88. Tickets are $20 Student or $40 Adult and include a ticket to the Walter Park’s performance. Arts education for learners of all ages is a core element of the Arts Council’s mission. This year we are piloting a few new outreach efforts in the music, dramatic and literary arts. These programs are related to efforts we have underway that support and nourish visual artists. Looking forward to saying thank you in person tonight to the many people who helped during ArtsFest and throughout the rest of our year. Join us from 5-7 PM at Stuart Art Supply. 2018 WSA grant recipients include: Atlantic Classical Orchestra; Bach's Children Music School; Lynne Barletta, Artist & Art Curriculum Author; Duck in the Truck Puppets; Library Foundation of Martin County; Martin Artisans Guild; Jackie Robbins, Cellist & Music Therapist; The Lyric Theatre / Friends of the Lyric, Inc.; Treasure Coast Classical Guitar Society; Treasure Coast Community Singers; Treasure Coast Music Teachers’ Association; Treasure Coast Youth Symphony; Tykes & Teens and Visionary School of Arts. Today, over 600 dedicated arts supporters from across the United States have come together in Washington, D.C. for the 31st annual Arts Advocacy Day: The National Arts Action Summit — the only national event that brings together a broad cross section of America's cultural and civic organizations. These arts advocates represent a united effort to tell Capitol Hill how important the arts are to our communities, how much arts education means to our children, and how the arts improve our daily lives. Over 85 National Partner organizations have helped us shape this united arts message to Congress. You don't need to be in Washington, D.C. today to take action! Click here to reach your legislators, local newspapers and engage via social media. Meet artists Guy Coheleach and Geoffrey Smith as they are encouraged to talk about their life, art, travels and more with moderator, Nerissa Okiye, Martin County's Director of Tourism. Come out to hear Rick Gonzalez, AIA, President, REG Architects talk about historic buildings as placemaker anchors, at the Historic Jensen Beach Community Center. For information and to RSVP, call 772-221-4060. The creative sector – artists, musicians, authors, actors and the organizations that support them - enrich our lives immensely with the passion they pour into our community. My wish is for you to support them during this holiday season through a gift of the arts! Buy music, art, books and hand-made items by local craftspeople at locally-owned stores. Purchase tickets and make a date to spend time with someone you care about at a concert, festival, play or other event that supports an arts organization. Be philanthropic. Make an end of year charitable donation to the Arts Council or another favorite nonprofit in our community that fosters the arts. Give a gift in honor of someone you love who also cares about the arts. Spark imagination. Be supportive of young people and their creativity! Nurturing creativity and imagination in our children is so important to their development and future as strong, creative and engaged adults. •	Enjoy a meaningful conversation. •	Connect with your community. •	Contribute to a cause that you care about. Specifically, docents at the Court House Cultural Center Gallery meet and greet visitors to the gallery, welcoming them to explore the exhibition and offering additional information as it is needed. Docents are the Gallery’s welcoming face to visitors and they get the opportunity to learn about the artists, the arts, and our creative sector along the way. No prior experience in the arts or as an artist is needed, all that’s required is an inquisitive mind and a willing hand. Docents also help with special projects that spring up throughout the day. They volunteer in three-hour shifts, Tuesday through Friday between 10 a.m.-4 p.m. Help us help the community engage in the arts! Call to learn more or to sign up for your first shift. You can reach us at 772-287-6676. Senate President Joe Negron appointed executive director, Nancy K. Turrell, to serve on the State's Council for Arts and Culture.  The Florida Council on Arts and Culture is the 15-member advisory council appointed to advise the Secretary of State regarding cultural grant funding and on matters pertaining to culture in Florida. Appointments to the Council are determined by the Governor, President of the Senate and Speaker of the House, in consultation with the Secretary of State. The Governor manages seven seats that serve four-year terms. The President and Speaker manage four seats each, with terms of two years. The appointments are based on geographic representation, as well as demonstrated history of community service in the arts and culture. The nonprofit arts and culture industry generates $27,152,370 in annual economic activity in Martin County Florida—supporting 752 full-time equivalent jobs and generating $3,009,000 in local and state government revenues, according to the Arts & Economic Prosperity 5 national economic impact study. The most comprehensive economic impact study of the nonprofit arts and culture industry ever conducted in the United States, Arts & Economic Prosperity 5 was conducted by Americans for the Arts, the nation’s leading nonprofit organization for advancing the arts and arts education.